“Growing up I had always heard my mother speak about the very colourful life of the royal court. She would speak about the glorious and less than glorious aspects of having a royal lineage. I would hear these rather ostentatious, colourful and often gruesome stories, taste many different types of royal cuisines and yet, I was never that interested in my ancestral past until 2006 when my sister and I decided to visit our ancestral home of Murshidabad with none other than my mother, a princess of the royal family of Murshidabad as our guide. It was strangest and yet most wonderful experience to visit the Hazarduari Palace in Murshidabad and see my ancestors in paintings… the eyes! Yes, we all have the same heavy-lided eyes. The most precious part of the visit was my mother’s commentary on our family history and what life was like in the royal court. She named each object on display and what it was used for and then the stories; the many, many stories. We went through the armoury and that was chilling… to know that all these weapons had actually been used in battle. Perhaps it was my devotion to the concept of “Satyagraha” but I almost smelled the blood. When we arrived at the “Darbal Hall”, I could not help but be in awe of the majesty of it all! I looked up at the massive chandelier… the most massive chandelier I had ever seen in my life! I stared at the huge painting displayed right above the royal throne depicting a scene where my great, great grandfather was holding his court and then I looked down at the actual throne where he sat. The whole scene was being played out in my mind’s eye like a stop-motion film, complete with the scratches on the film and the sounds. I was incomplete awe and then came the shock! It was incredible how quickly our arrival there made news through out the town, even though we went conspicuously as tourists! It was the strangest experience, to have people follow us around, stare at us, point at us, some stopping to say “salaam” or “namaste” and then bow down in reverence and respect. Those gestures felt so alien, uncomfortable even and yet, I felt an intense sense of belonging. Do you have a story to tell about South Asian royalty? Does your family have connections to maharajas? Do you have photographs or objects related to kings and their courts? Share your stories and ideas here or by emailing us at yourvoice@ago.net. Amin Jaffer spoke about western luxury goods made for Indian princes in the late 19th and early 20th centuries. The talk explored the superb and extraordinary commissions made for maharajas by western luxury houses Cartier, Chaumet and Boucheron. Jaffer contextualized this appetite for luxury goods within the broader historical context of shifting taste and power between India and the West. Dr. Amin Jaffer is International Director of Asian Art at Christie’s and specialises in Indian art in the age of European influence. For thirteen years a curator at the Victoria and Albert Museum, Jaffer authored Furniture from British India and Ceylon (V&A, 2001), Luxury Goods from India (V&A, 2002) and Made for Maharajas: a design diary of Princely India (2006). Jaffer was co-curator of the V&A’s blockbuster 2004 exhibition Encounters: the meeting of Asia and Europe, 1500-1800, which explored the artistic and cultural encounter between Europe and Asia following the discovery of a sea route to India by Vasco da Gama in 1498. He lectures frequently in Europe, America and India and contributes regularly to journals and major newspapers. This fall, the Art Gallery of Ontario unveiled a remarkable exhibition that explored in depth the lavish lifestyle of the maharajas, from the early-18th to mid-20th century. 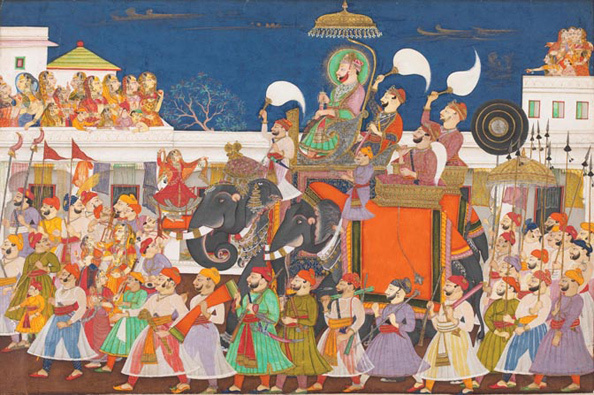 Maharaja: The Splendour of India’s Royal Courts brings to Canada for the first time a collection of truly magnificent works of art created for India’s great kings. These objects chronicle the many aspects of royal life and celebrate a legacy of cultural patronage by generations of maharajas, both in India and in Europe. The first exhibition to comprehensively explore the world of the maharajas and their unique culture of artistic patronage; the exhibition spans 250 years of history and features over 200 opulent objects. Highlights include: paintings of spectacular royal processions; royal costumes and traditional dress; ceremonial weapons, including daggers, swords, and matchlock guns; elaborate jewellery commissioned from the French house of Cartier; prized photographs by artists such as Man Ray and Cecil Beaton; and a saffron-coloured 1934 Rolls Royce Phantom II. And, let’s not forget the wonderful performances! Thanks to generous support from Fairfax Financial Holdings Ltd., The Globe and Mail, Rogers Communications Inc., and Scotiabank Group, the Art Gallery of Ontario is thrilled to offer FREE admission to Maharaja: The Splendour of India’s Royal Courts to visitors 25 years of age and under. The Free 25 & Under program runs until April 3, 2011. A special offer for families, priced at $66, grants admission to four adults and an unlimited number of children. Admission includes access to the AGO’s permanent collection. The end is near! You have just days left to give into the splendour. Maharaja: The Splendour of India’s Royal Courts closes April 3, 2011. See it while you can! Join us on Thursday night, March 24, when Amin Jaffer visits the AGO to explore a time when Indian Royal Princes wore more jewellery than the Royal female members of the family. Imagine a time when the vaults were brimming with superlative jewels – the most prized to be chosen and worn by the male head of the family. Only after this selection would the women of the family, according to their rank, be given their choices from these overwhelming collections. Originally from Toronto, and a curator at the Victoria and Albert Museum for thirteen years, Dr. Jaffer is now International Director of Asian Art at Christie’s and specialises in Indian art in the age of European influence. Looking for family friendly activities? Well, look no further. 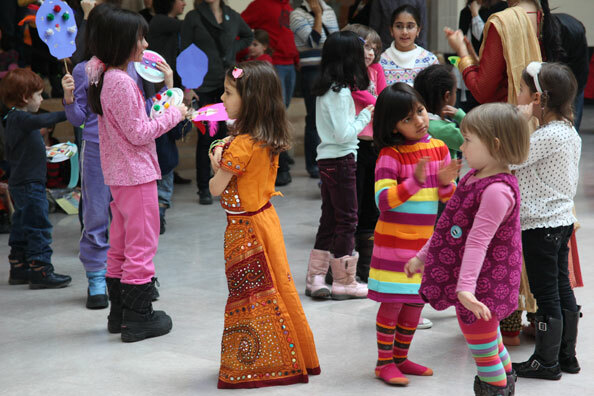 Why not join us for March Break at the AGO? Drop in for family activities all week long! No pre-registration required. – Learn the groovin’ moves and take to the dance floor. – Create your own take-home royal costumes and embellishments. For more suggestions on fun activities for all, be sure to check out our March Break Survival Guide! March Break activities run 10am – 4pm and are included with admission. The Art Gallery of Ontario will be open Monday, March 14, 2011 from 10am – 4pm. For detailed information, see our Visitor Information page. 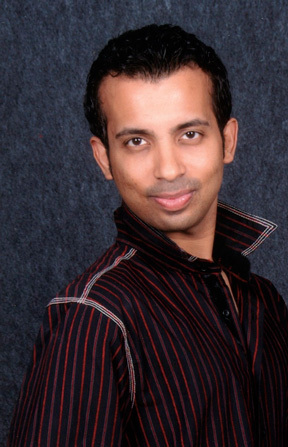 inDANCE artistic director Hari Krishnan presents South Indian courtly dance traditions based on decades of research in remote villages of South India. Weaving live performance by musicians and dancers to images, this talk will integrate movement, voice and text, showcasing courtly motifs. The height of the Raj coincided with the advent of photography. Both the colonial administration and the princely courts took advantage of this new technology to fashion and distribute an image of themselves to a increasingly interconnected world. This talk focused on the work of one remarkable photographer, Deen Dayal, who worked for many of the most powerful of Princely rulers at the end of the nineteenth century–including the Maharajas of Dhar and Gwalior and the Nizam of Hyderabad. His work became not only a chronicle of courtly life but was central to producing an identity for the princely state itself. Deepali Dewan is an Art Historian of South Asian visual culture. She holds a PhD from University of Minnesota and a B.A. (Honours) from McGill University, Montreal. 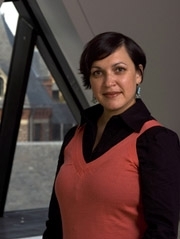 She is currently Curator at the Royal Ontario Museum and teaches in the Department of Art at the University of Toronto with an affiliation with the Centre for South Asian Studies. Her research focuses on nineteenth and twentieth-century visual culture of South Asia and the South Asian Diaspora. She has co-authored a book on the 19th-century photographer Raja Deen Dayal (forthcoming) and is now working on an overview of the aesthetic and discursive evolution of photography in India. She has received fellowships from the Social Science Research Council, the American Institute of Indian Studies, the College Art Association, and the MacArthur Program/Interdisciplinary Center for the Study of Global Change. Win a Trip to India – Enter Before It’s Too Late! The countdown has begun, time is running out for a chance to win a fantastic 9-night VIP trip for two to India! There will only be one lucky winner and it might be you! Come to the AGO and enter the Scotiabank contest on one of the ipads onsite or enter online at www.scotiabankcontests.com/maharaja. The winner will be selected on April 11, 2011.